Holy God pleaser Columba, pray for us! 96% Dixie. Is General Lee your grandfather?! 100% CRACKER & proud of it! The War continues to be fought because conquered people have long memories. "This life has been given to you for repentance, do not waste it in vain pursuits." Russia allied with the Union during the war. It lowered my score to 15% Dixie from 30% in the regular test. My great-great grandfather fought under General Sherman. In part, he writes: "Approximately 4 million Orthodox live in the United States, concentrated primarily in the Northeast, Midwest and California." Is this a nice way of saying, "Orthodox primarily live in every region of the US but the south?" Did you know, that in the Civil War, Russia was America's closest ally? That's right- Britain and France liked trading with the South for cotton, and were wary of America's economic success. Russia, on the other hand, was embroiled in the Crimean War with those two countries. Abolitionists in America had a good opinion of Russia at the time for abolishing serfdom a few years earlier. 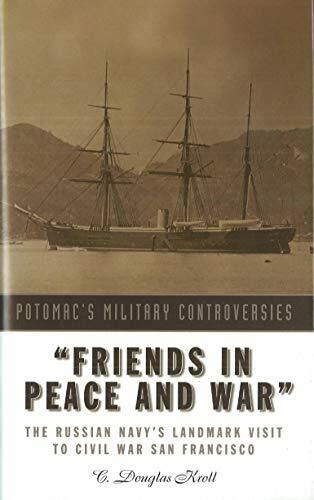 For both political similarities and strategic reasons, the Civil War was a time of one of the closest friendships between America and the largest Orthodox country at the time- Russia. General Turchin was a famous Russian officer who fought for the Union army. Later, he founded a colony of Russian and Polish immigrants in Illinois. Also, in part to free their navy from the dangers of the Crimean War, Russia sent ships to protect New York's harbor- freeing up more Northern ships to blockade the Confederacy. The Russian Navy also went to San Francisco. Later, the friendship between Lincoln's administration and Russia facilitated the purchase of Alaska. When I took the advanced test: 19% Dixie. Wow! You are a Duke of Yankeedom! That's 7% lower than the regular test. 100% Dixie. Is General Lee your grandfather?! 13% Dixie on the Advanced test. Well kick the cat and spit in the fire!!!!! 94% Dixie. Is General Lee your grandfather?! 71% Dixie. Your neck must be a little pink! No Change from the last score. 44% Dixie. Barely in Yankeedom. I guess living in Virginia for 4 years rubbed off. :-D A lot of my speech though apparently is from the New England area, not from upstate NY where I grew up... also, one of the questions, about the pronunciation of caramel, none of the answers fit... where I come from, its pronounced "CARE-a-mel." where I come from, its pronounced "CARE-a-mel." "If y'all 'pahk your cahs in Hahvahd Yahd', then why do you suddenly say out the R in CARE-e-mel?" Well, awl be dad-gum...mine went up! Hey, whadaya guys have against Boston? It's a wicked cool city. :-P Particularly since most of mi familia resides around it. It's got wicked good chowda, and the people drive their cahs wicked fast, and they've got a zillion Dunkin Donuts, bubblas, lotsa wicked good bahs, (none of them Cheers), they drink frappes, drive to the Cape, and get called "massholes" by anyone else from New England but not from Massachusetts. Chowder is something I detest, and everything else you list is reason enough for me to resent Boston. I've said this before---on my last trip out of MA, I stopped immediately after I crossed the CT line. I then shook the MA dust off my shoes, spat on the MA soil, and solemnly vowed that I will never set foot in Boston ever again (stopovers at Logan Airport don't count). "For deliverance from all affliction, such as the city of Boston being within our nation's borders, let us pray to the Lord"
I am a total Yankee, and proud. For me, the center of the universe is Columbus Circle, Isle of Manhattan, City of New York. Permit me to say that I have been to Boston many times -- it is a wonderful city. As for Rebel Territory, I love the Chesapeake Bay region of Maryland, and am very fond of Maryland as a whole, including Baltimore, which gets a bad rap from a lot of people. I love to visit Charleston, S.C., one of the most beautiful little cities in the entire country, and I once spent a couple of weeks in Augusta, Ga., a very charming town. I've been to Atlanta a number of times; I'm not impressed. Austin, Texas, is a wonderful town but more West than Dixie IMO. That just about exhausts my experience of the South. I literally laughed out loud on that one. I didn't take the test but I'm definitely Rebel by choice. Nobody ever really talks about the fact that 25% of all the slaves in America died from the horrible conditions in the Union Army camps they fled to. Add all the abrogations of the Constitution, the forced breakdown of race relations in the South and the destruction of federalism into the mix, and it comes out looking pretty much like the Union was a pack of bad guys. Besides, Jesse James is in the family history. Yankee by birth . . . Rebel by marriage. "34% Dixie. You are definitely a Yankee"
Ironically coming to the southern half of the state has changed my speech, but I dropped the hick accent, the boots and the music. Now I say y'all casually, but listen to rock. My ancestor probably fought in the Civil War on the Rebel side, and I grew up in an area that hates Kansas and loves to celebrate Jesse James. I loved Civil War history and took great pride in he heritage of the area. I feel a strange connection to the Rebel Flag, yet I also think some things like MO/KS Hatred is rediculous and holding 150 year old grudges is a bit crazy. ...and to think I was raised in Orange County, CA by a pack of Atheists. This is actually weird, since I live in the danish version of Texas. 50% Dixie. There's a reason I'm a Copperhead and not a Reb. 18% Dixie. Wow! You are a Duke of Yankeedom! Interesting test. I scored 28% Dixie and it said I was a Yankee. LOL I was born in Augusta, Georgia and lived most of my life in the Carolinas. But I have traveled extensively and did live up North for three years. My mother was from Michigan and my Dad was from North Carolina. The reason I think I scored so "Northern" on the test was that the area of the South that I grew up in had a LOT of transplants from all over the United States and even several foreign countries, esp. Germany, Switzerland, Britain and France. Michelin, BWM and several German and Swiss textile companies were the major employers in my town. So I just got used to meeting people from all over from a very young age. Plus, we weren't raised to think of ourselves as "Southerners" really. The South was were we lived. We primarily thought of ourselves as just Americans. I did have some distance relatives from North Carolina that fought for the Confederacy about 150 or so years ago. However, nobody in the family attached any importance to that. We simply thought they did what they did because they were North Carolinians and when their state called them to serve, they did. My family never got into living vicariously through our Confederate ancestors, nor have we let that define who we are. I think we were always much more proud of my great (x6) grandfather who fought in the Revolutionary War and my Dad and my many uncles who proudly fought in the Second World War. One uncle of mine actually fought on D Day in France and my father fought in the Battle of the Bulge in the Ardennes. 48% Dixie. Barely in Yankeedom. It's interesting that they chose slang terms as the barometer. 35% Dixie. You are definitely a Yankee. I could drive over a bridge in town out of Kentucky and into Indiana, so yep. 1% Dixie. Need help digging out of the snow? People I've met from Missouri pronounce it "misery." Perhaps they are being ironic. 73% Dixie. Your neck must be a just little rosy! Which is funny because I'm from Wisconsin. Several of the words on the test have no real regional bias, anymore at least. I grew up using many of them interchangeably. 38% Dixie. You are definitely a Yankee. But my father was from Southern Greece. I just took the advanced test: 8% Dixie. Need help digging out of the snow? If I answer as I spoke as a kid, I am thoroughly Southern. Nowdays it's a mixture of South and Midwest. More of one than the other depending on who I am speaking with. Wow, 100% Dixie on the advanced test too! The funniest thing is, my wife is a direct descendant of Robert E. Lee. Her Grandparents have his set of dishes. 30% Dixie. Too low, methinks. The one time we spoke, I didn't detect a lick of a drawl or twang. Your voice was lower than I expected and you seemed to enunciate a lot. You could probably earn a decent living doing voice overs. I did think it was odd in a funny way that the first thing you said wasn't 'hello' or some sort of greeting, but something like, "OK now, you must live further south than me." Where do you put Copperheads? Glad I scored so well! Of course I prefer the term "South" to "Dixie". 8% Dixie--what does that mean? 45% Dixie. Barely in Yankeedom. I attribute this to my summers spent on the family farm in the California Central Valley. Rural folks is rural folks.